Do you get enough exercise? You can keep track of your movement with the activity sensor. You can also monitor your sleep behaviour in combination with the "beurer BodyShape" or "beurer HealthManager" app. 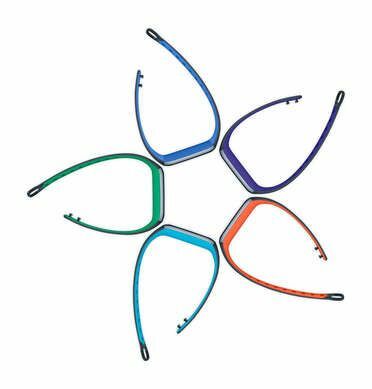 What is the correct way to wear the activity sensor? Wear the activity sensor on your left wrist (if you are left-handed, wear it on your right wrist). 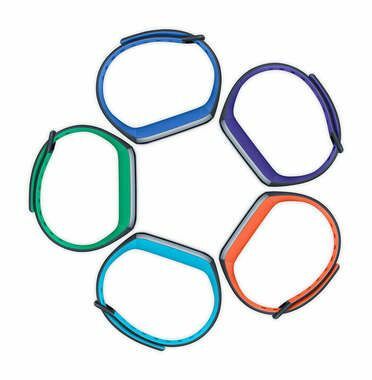 Pull the end of the wrist band through the opening as shown. Now press the fastening clip into the openings of the wrist band until you hear it click into place. Alternatively, you can also wear the activity sensor in your trouser pocket. 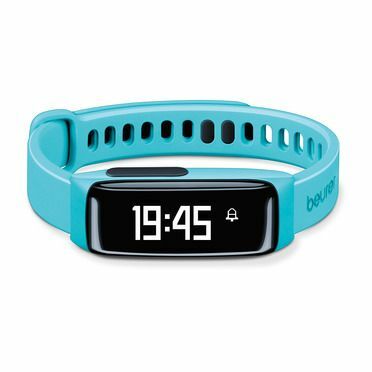 What benefits does the activity sensor offer me? Exercise is a prerequisite for leading a healthy life. Physical activity keeps you fit and lowers the risk of heart disease and circulation problems. Exercising helps you to lose weight and you will notice that your well-being improves. Physical activity covers all exercises that use up energy. As a result, daily activities such as walking, cycling, climbing the stairs and household chores play an important part. The activity sensor is useful for you to be able to objectively assess and record your daily motion activity. In this way, it can also motivate you to increase your daily exercise. A daily quota of at least 7,000–10,000 steps or a 30-minute activity are ideal. How does the activity sensor record my steps? 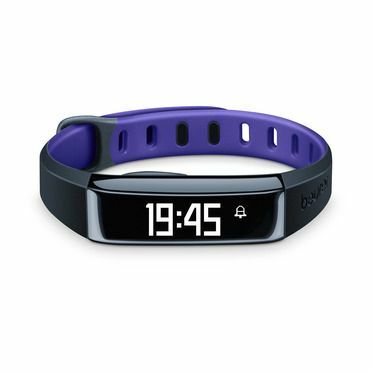 The activity sensor continually records your physical activity using the in-built 3D sensor. All your physical movements are then converted into steps. The information on the distance covered can therefore differ from the actual distance. How can I analyse my activity and sleep data? You can transfer your saved data to a smartphone (Android and iOS) via the Bluetooth® interface of your activity sensor, where you can then analyse it. 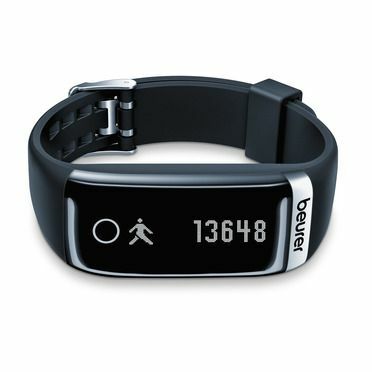 For this you only need the free-of-charge beurer HealthManager app on your smartphone. The activity sensor uses the Bluetooth® (low energy), 2.4 GHz frequency band. How do I synchronise my data with the app? 1. Activate Bluetooth® on your smartphone. 2. Open the beurer HealthManager app. 3. Press and hold the button on the activity sensor for fi ve seconds. When doing so, the device must not be in sleep mode. 4. During the data transfer, appears SYNC briefly on the display of the activity sensor. The data transfer on the smartphone does not work. The activity sensor is in "sleep mode". 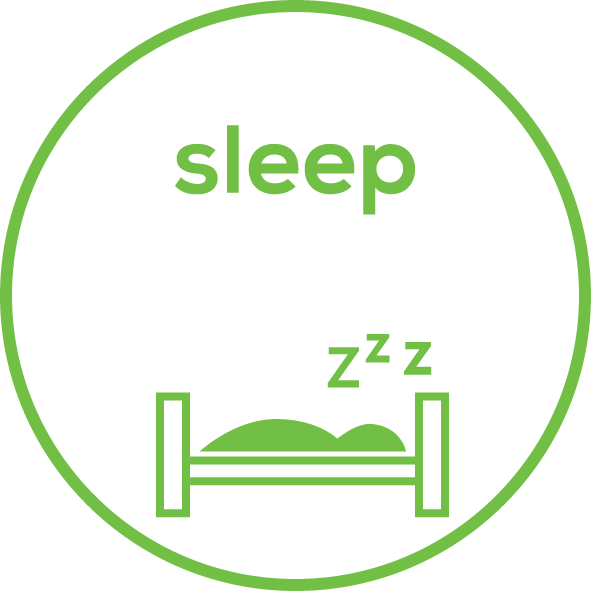 To exit "sleep mode", press and hold the button for 3 seconds. "GOOD MORNING" appears on the display of the activity sensor. Bluetooth® is not activated on your smartphone. Activate Bluetooth® in your smartphone settings. The battery in the activity sensor is empty. If the activity sensor does not switch on, charge it with the USB charging cable supplied. Check that you are using the correct app. 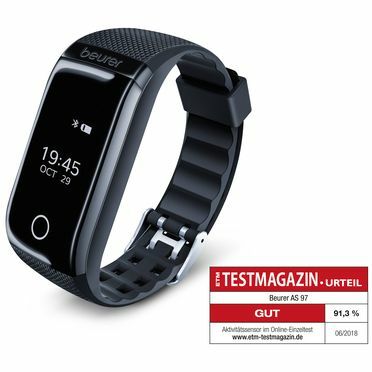 A data transfer is only possible with the beurer HealthManager app. No data has been transferred from my AS 80 into the HealthManager. What are the possible reasons for this? Open the HealthManager App > Settings > My Devices > AS 80 and select "Remove device" at the bottom. Now re-add the AS 80 and start data synchronisation. When should I charge the battery in the activity sensor? 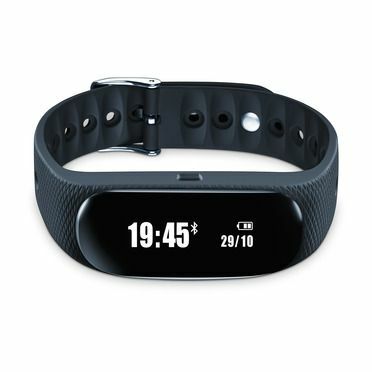 Charge the battery in the activity sensor if LOW BATT is shown on the display when pressing the button. As soon as LOW BATT is shown on the display, a maximum battery power of 15 hours remains. In order to continuously record data, never allow the battery to deplete completely. How do I correctly charge the battery in the activity sensor? Turn on your computer and insert the USB plug of your USB charging cable into the USB socket. Connect the clamps of the USB charging cable with your activity sensor as shown. Ensure that the small triangle of the USB charging cable lies correctly in the triangular notch on the rear of the activity sensor. Only then will the battery be charged. To see the current charge status, press the button on the activity sensor. It usually takes approx. 3 hours to fully charge the battery. Can I wear the activity sensor whilst cycling? You can also wear the activity sensor whilst cycling. It is crucial that you wear the sensor correctly. You can wear the sensor on your leg or in a narrow or side trouser pocket. You should not wear it on your belt. Otherwise, data on the distance covered will deviate from the actual distance as the activity sensor will interpret all your physical movements as steps. How many days/nights can the activity sensor record? 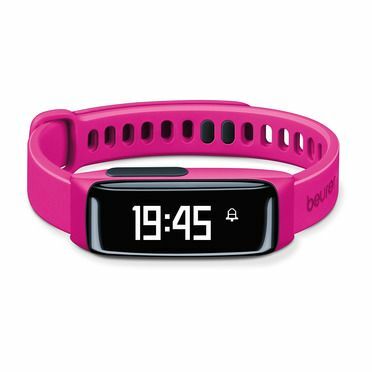 The activity sensor can record 30 days and 7 nights. If all memory spaces are full, the oldest recordings will be automatically overwritten. We therefore recommend that you carry out the data transfer at least once a week. What functions does my activity sensor have? Press the button repeatedly until SLEEP is shown on the display. Press and hold the button for 3 seconds. "GOOD NIGHT" appears on the display and the device switches to sleep mode. To exit sleep mode, press and hold the button for 3 seconds. "GOOD MORNING" appears on the display. How can I activate the alarm function? Enter the required alarm time into the beurer HealthManager app. How can I clean the activity sensor? Carefully clean the activity sensor from time to time using a damp cloth. Do NOT immerse the activity sensor in water! Where can I reorder the USB charging cable/fastening clip? What is included in the delivery? An activity sensor, a USB charging cable and a quick guide are included in the delivery. What do the symbols on the activity sensor, on the packaging and in the quick start guide mean? How do I correctly dispose of the activity sensor? For environmental reasons, do not dispose of the activity sensor in the household waste at the end of its useful life. Dispose of the unit at a suitable local collection or recycling point. Dispose of the device in accordance with EC Directive – WEEE (Waste Electrical and Electronic Equipment). If you have any questions, please contact the local authorities responsible for waste disposal.